Back in May of this year, the People’s Republic of China and the nation’s Chinese Communist Party moved a drilling rig into waters that were considered to be within Vietnam’s Exclusive Economic Zone (EEZ). 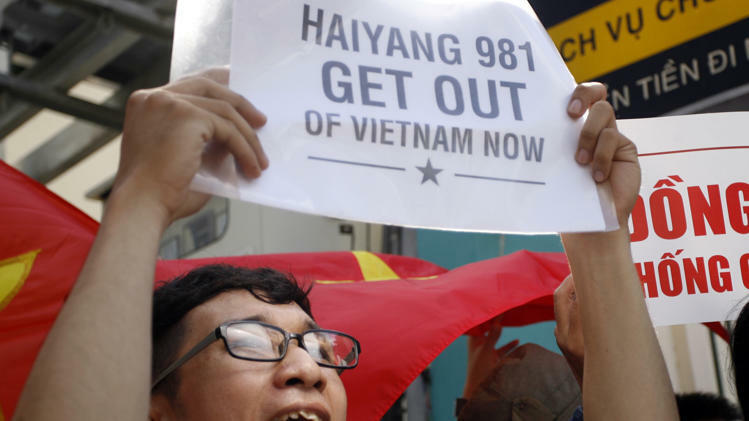 The move is further example of China’s ongoing aspiration to gain control of Vietnamese territory, causing outrage among Vietnamese communities both inside and outside of Vietnam. The situation was particularly tense within Vietnam, as protests and riots broke out in response to China’s intrusive maneuver. China’s actions also drew heavy criticism from the United States and the international community, who deemed the PRC’s moves as provocative. Last Tuesday, after months of international criticism and steady pressure brought about by the Vietnamese population, the PRC decided to withdraw its oil rig from the Triton Islands. The islands are part of the larger Paracel Island chain, which China claims to be ‘disputed’ territory. However, the Paracel as a whole has been under Vietnam’s administration since the Nguyen Dynasty, only falling into Chinese control in 1974 by naval invasion. 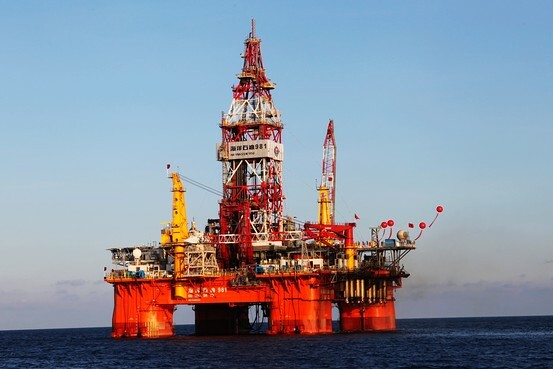 In regards to their removal of the oil rig, the Chinese government claims that they have completed their drilling objectives and no longer need to station the rig at the location, which again, happened to fall into another nation’s EEZ. In moving the rig into Vietnam’s nautical zone, the PRC was trying to gauge the power balance in Southeast Asia. With an Obama Administration riddled with problems both inside and outside of the United States, the PRC was hoping to get their own piece of the international pie (as Putin had done in Crimea). Unfortunately for China, they never expected their actions to draw such strong criticism from the U.S. and the international community, most notably from Shinzo Abe and the Japanese. Thus, due to the unexpected backlash, the PRC had to ‘complete’ their objectives much sooner than they intended, and move their intrusive oil rig out of Vietnam’s territory. In the midst of all this, and even now that this particular situation appears to be over, it is very interesting to note that Vietnam’s leadership (with very few exceptions, and even they are inadequate), the Vietnamese Communist Party, has been deafeningly silent on the matter. While the people in Vietnam protested, while America condemned these aggressive Chinese acts, and even in Japan, where Prime Minister Abe has been outspoken about Chinese aggression in the Pacific, those ‘comrades’ in the VCP said nothing, as the Chinese inched closer and closer to Vietnam’s doorstep. Actually, the Communist Vietnamese did say something during this time, although it is the complete opposite of what one would call a respectable response. 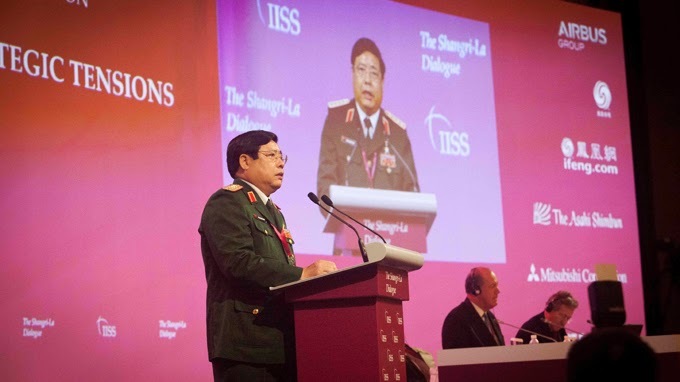 At this year’s Shangri-La Dialogue 2014, held in Singapore this past June, the Vietnamese Minister of National Defense, Phung Quang Thanh, made a paltry statement claiming that relations between Vietnam and China are still friendly, and dismissed the Chinese invasive act as nothing but a “small disagreement among brothers.” Phung made this statement in the midst of social unrest in Vietnam (which the VCP was brutally suppressing), just mere weeks after China had moved its Haiyang 981 oil rig into Vietnam’s nautical territory. I wanted to give you all an entire article focused on Vietnam’s pathetic display at this conference, but unfortunately, I just didn’t have the time. What needs to be known from Shangri-La is that once again, the VCP failed miserably to represent the nation and people that they are supposed to be governing, and seem more content to be the lapdogs of the PRC. The Chinese keep taking, the VCP keeps giving, and lastly, in trying to defend their nation, the Vietnamese people keep suffering. However, it is this suffering that will one day win for Vietnam freedom and independence. The situation in Vietnam is still hot, the party keeps getting weaker, and the people keep getting stronger. I’ve said this before, but it is important, and I know I’ll say it again: To the Vietnamese people inside, you are not alone. It is a long and arduous journey, but believe me when I say that we’re all in this together. Stay strong, never lose hope, and keep those protests coming.